Every activity has its own language that is recognized by those engaged in that activity as having specific meanings. 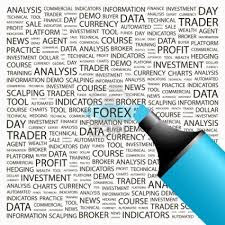 That is certainly true in the Forex market, where a basic understanding of the concepts behind certain terms is important for every trader to navigate themselves around the market. The Forex market is a market of currencies, with prices charged based upon what a currency is worth in relation to other currencies. Generally this "exchange rate" is traded against the U.S. dollar, although the euro, the Japanese yen, the British pound and the Swiss franc are also major players. In fact, they are often referred to as "The Majors." Through the exchange rate one determines how many units of one currency you need to purchase one unit of another. The difference that exists between the price at which you buy and the price at which you sell is called the currency trading spread. It is simply the difference between the selling price and what it is bought for. That is why if you purchase a currency and sell it at the same exchange rate, the spread will cause you to lose money. When a currency price is offered it is called a "quote" and in the Forex market they come in two forms. A direct quote, in which one currency is bid in terms of an exact relation (one dollar against a yen), or an indirect quote, such as a price of one unit of currency in terms of dollars in relation to the British pound. A quote is the actual price the market maker will honor, but sometimes there is only an "indication" meaning a price is mentioned but it is not necessarily what the rate will be at the end of the deal. Like many financial arrangements, Forex trades require collateral to ensure that losers can pay. The minimum level of secure collateral required for a trade in the Forex market is called "the margin" or even just "minimum security." However, traders can use a trade that has been purchased on margin to create credit through leverage to greatly increase their potential returns. Depending on the deal, one might be able to control more than a hundred times the original money. Margin enables private investors to trade in markets that have high minimum units of trading by allowing traders to hold a position that is larger than their account value. This enables private investors to make direct and indirect trades in the spot market, options, spread betting, contracts for difference or forwards and futures. All of these transactions take place in a Forex market ripe with opportunities for profit but not without trading currency risks. Risks involving exchange rates, interest rates and risks involving credit are just a few of the risky situations that can be involved with currency trading.